> Today was the ideal Brewers win: the starter goes seven strong, and the setup man and closer each throw scoreless innings to seal the win. That’s been very uncommon this year thanks the bullpen, but it happened today in the Brewers’ 3-2 win over the Cubs, as the brooms were brought out. Yovani Gallardo won his fifth straight decision, going seven solid innings while giving up two runs on four hits. He walked two and struck out nine. Yo gave up a lead-off home run to David DeJesus, but buckled down until giving up another solo homer to Bryan LaHair in the seventh. After the Cubs took the early 1-0 lead, the Brewers responded in the bottom of the first with three straight doubles off Travis Wood from Norichika Aoki, Ryan Braun, and Corey Hart. The Brewers added on another run on Braun’s solo home run in the sixth. Jim Henderson pitched the eighth and struggled a bit with his command, but put up the zero. John Axford struck out the side in the ninth to record his 20th save, so maybe he’s on his way back to being a dominant closer. > In a somewhat shocking move, Randy Wolf was released prior to today’s game. With the numbers Wolf was putting up this year, it was extremely unlikely the Brewers were going to pick up his $10 million option for 2013 anyway, but he wasn’t expected to go this early. Wolf was victim to nine blown saves behind him, but the 5.69 ERA speaks for itself. He was just flat-out ineffective this year and couldn’t duplicate the 2011 season in which he went 13-10 with a 3.69 ERA, while also getting a clutch win in the NLCS against the Cardinals. 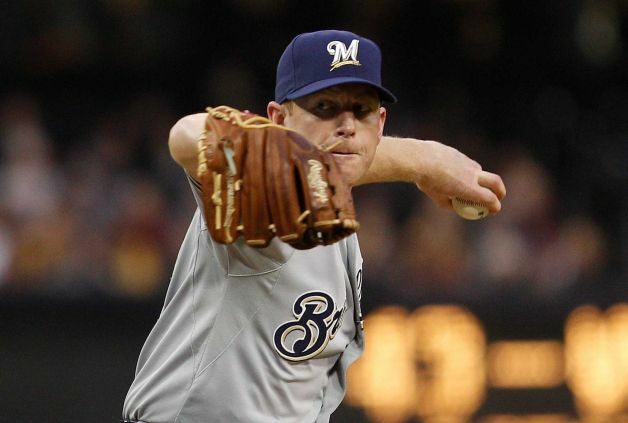 He went 13-12 with a 4.17 ERA in 2010, including a 2.67 ERA in the second half, which was his first year with the Brewers. Wolf finishes with a career 29-32 record as a Brewer with a 4.37 ERA. I hope Wolf gets picked up by someone (maybe a contender) down the stretch. He was a real class act, but just wasn’t getting it done for the Brewers this go around. > In a corresponding move, the Brewers once again recalled Jeff Bianchi. > Jean Segura was out of today’s lineup, and was witnessed limping in the clubhouse. Last night, Carlos Marmol covered first base the wrong way while fielding a Segura groundout, and Segura stepped on his foot. Segura did stay in the rest of the game. 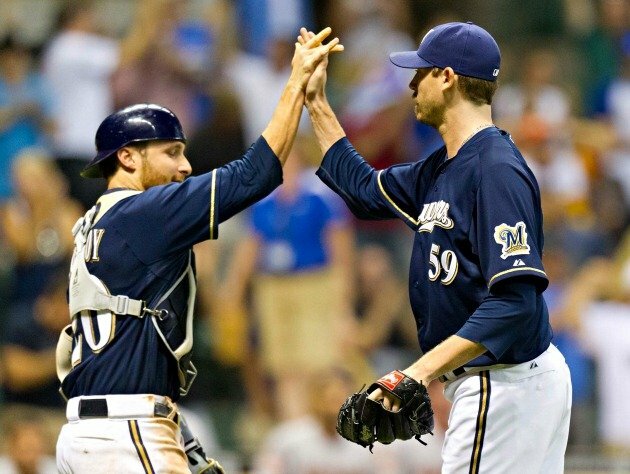 Cody Ransom got the start at shortstop today, and the Brewers called up Bianchi just in case. > Axford reportedly asked Ron Roenicke to return to the closer’s role. That’s a very good sign, because it means Ax’s confidence is starting to come back. > Bartolo Colon, currently pitching for the contending Athletics, was hit with a 50-game ban today. It’s crazy how many players have been suspended this year. It was the second Bay Area player to get knocked out, with Melky Cabrera receiving a suspension last week. > Braun has been hot since snapping his slump, and continued that with a 3-for-4 day. His average now sits at .308. > Ransom actually got a hit in his start, going 1-for-2. But, he naturally struck out the one time he was retired. > Since his record evened at 8-8 following a rough start against the Nationals, Gallardo has won five consecutive decisions, only giving up more than two earned runs in one of those starts. > Brewers pitchers struck out a cumulative 37 Cubs batters this series (12 in the first two games, 13 today). > Wolf was released on his 36th birthday. Ouch. I see nothing in Carlos Marmol. Absolutely nothing. The Brewers fell to the Cubs today, 5-2, and their magic number will stay at four for at least another day. That’s because the Cardinals beat Roy Halladay and the Phillies (talk about a worthless bunch). But that’s why I hate the Phillies- when I want them to win, which is rare, they don’t. And they win the rest of the time. Anyway, back to the Brewers and Cubs. All five Cubs runs were driven in by Geovany Soto, who hit two two-run homers and had a RBI single. The only Brewers runs came on home runs by Jerry Hairston Jr. and Casey McGehee. Chris Narveson had a very short start today, going just four innings while giving up three runs (two earned) on four hits. But, I guess you can’t blame him- the Brewers have been yanking him in and out of the starting rotation over the past few weeks, plus he was injured before that. Switching a pitcher between the rotation and bullpen rapidly is NOT how you help him recover from an injury. Anyway, Narveson took his first career loss against the Cubs with the loss today. Casey Coleman, on the other hand, dominated the Brewers- just like all pitchers with ERAs over 7.00 do. He went six innings while giving up a run on just two hits. He walked three and struck out eight. 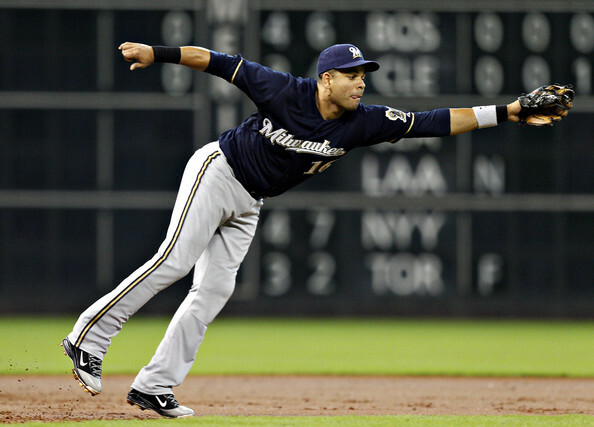 The Brewers rallied against Marmol in the ninth inning, starting with a McGehee solo homer. But, Marmol, after giving up back-t0-back hits, would strike out Taylor Green and Corey Hart to end the game. Anyway, there are a couple reasons I called Marmol a “flameout” earlier. I just don’t see anything in him. First off, the catcher-converted-into-pitcher is having a horrible year. He has a 3.91 ERA- which is actually pretty high for a closer- and has 34 saves. Sure, 34 saves sounds alright- unless you compare it to the 43 opportunities he’s had. That’s nine blown saves. Marmol actually lost the closer’s role for awhile to Sean Marshall, but was recently inserted back into that slot. Anyway, another reason I don’t see anything in Marmol- his signature pitch, the slider, doesn’t even break half of the time. It just spins up to the plate, resulting in hard-hit balls. And, when the slider does break, it breaks way out of the zone. He’s had outings this year where he walks four or more batters this year, and gives up six or more runs. Not something you want to see from a closer. Anyway, one more thing- Mariano Rivera broke Trevor Hoffman’s save record with his 602nd career save today. That didn’t take too long; Hoffman barely held onto the record for a year. But Rivera is definitely going to have more than 602 saves- he has a 1.98 ERA, and he’s 42. That’s something you don’t hear too often… Anyway, there’s no other active closer even remotely close to 600 saves- the next closest is ex-Brewers Francisco Cordero. But I can’t see Cordero getting to 600 saves. But who knows. Maybe in 15 years, we’ll be celebrating John Axford’s 600th save. That’s looking pretty far ahead. But, I’d love to see it, no matter when it comes- if it comes, that is. The Brewers will look to even up this series in Chicago tomorrow at 7:05 PM CT. Shaun Marcum (12-7, 3.40 ERA) will go for the Brewers, and he’ll be in search for some run support- something he hasn’t gotten over the past month. Marcum has been that one starter that has been amazing on the road for the Brewers, however. He has a sub-3.00 ERA on the road this season. Anyway, Marcum has one career start against the Cubs, in which he gave up two runs over six innings and earned the win. The Cubs will counter with Randy Wells (7-4, 4.93 ERA). Wells hasn’t lost over his last nine starts, but is 2-3 with a 4.53 ERA in his career against the Brewers.